Marina Bay Sands is known as the most expensive hotel in the world and the opening ceremony was held on June 23, 2010. On the same day, the resort, which cost 4 billion pounds to build, has an outdoor pool, sightseeing platform, a luxury casino, and other high-end facilities, is officially open to guests. The most amazing thing is that guests can swim while overlooking Singapore's urban landscape. 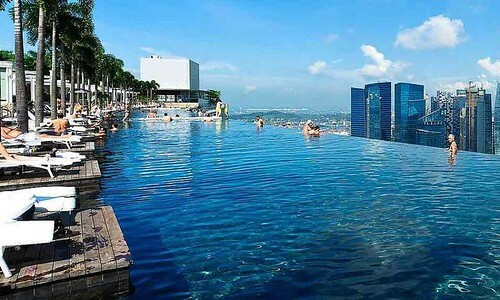 The world's most expensive hotel This outdoor pool is built on the top floor of the 55-story tower of Marina Bay Sands. It is three times the length of the Olympic pool and 650 feet (198 meters) high. It is the world's largest outdoor pool at this height. The swimming pool at the Marina Bay Sands in Singapore is 200 meters above the ground. The edge of the pool blends into the sky, like a waterfall. Nestled by the pool, you can have an unbeatable view overlooking the city of a lion. It may cost 4 million pounds that your backyard could have the same view with the Marina Bay Sands. And it sounds very unrealistic and ridiculous. But choosing a great swimming pool filtration system can make your private pool as clear as the Marina Bay Sands, Even clearer than it, so you can enjoy your swimming time in a pool as clean as the one cost millions. 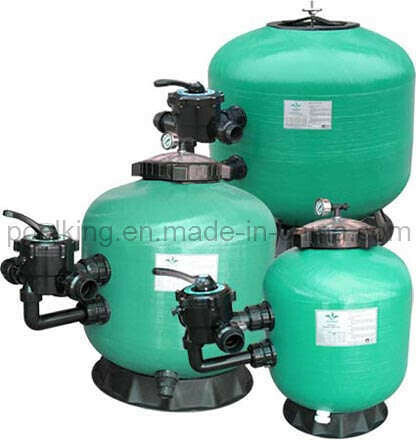 Let me introduce you the pool king swimming pools, one of the largest and professional sand filter manufacturers in China, which can supply you sand filters.